Loot Monkey: Bling Palace (Tackorama, €6.00 / £5.00) - Loot Monkey: Bling Palace is the sequel to Loot Monkey and builds on the sweet essence of 1980s video games with colourful modern graphics, designed to look great at 1080p. There is also original cheesy synth music and constant taunts from his master, the Evil Overlord (he just wants all the blingy loot). In Between (Headup Games, €11.99 / £9.99) - In Between is an atmospheric, award-winning platformer where you solve mind-bending puzzles by manipulating your surroundings and gravity itself. 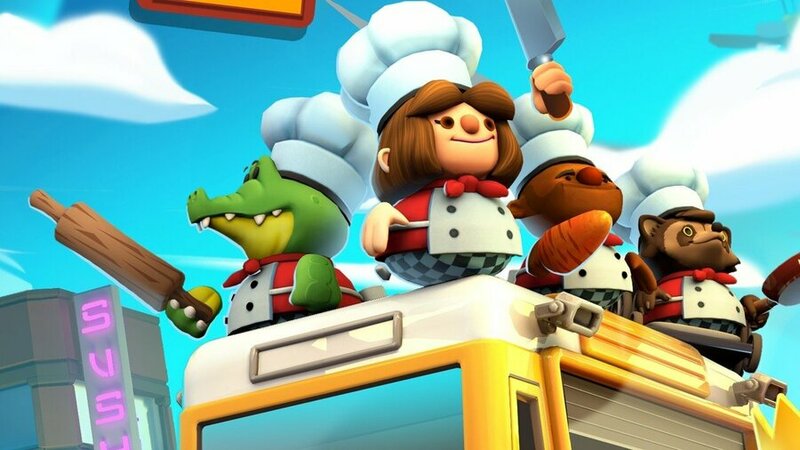 Slam Land (Bread Machine, €7.99 / £7.19) - SLAM LAND, a magnificent new 4-player couch fighting/party game by Bread Machine Games. Select your fighter and punch, grab and DOUNK! your way through a surreal world overseen by a benevolent giant whose only amusement in life is to witness sporting and majestic slams. Super Blackjack Battle 2 Turbo Edition - The Card Warriors (Headup Games, €6.99 / £6.99) - Super Blackjack Battle II Turbo Edition introduces a roster of 12 very different characters all competing to become the greatest Blackjack player of all time. Toby: The Secret Mine (Headup Games, €9.99 / £7.99) - Go with Toby on an eerie adventure in a dark and creepy world full of dangerous situations, enemies and challenging puzzles. Arcade Archives Kid's Horehore Daisakusen (HAMSTER, €6.99 / £6.29) - 'Kid's Horehore Daisakusen' is an action game that was released from Nichibutsu in 1987. Kid, who has been drawn into the space-time labyrinth from the 23 century, fights to escape from a large track of the enemy in order to return to the present day. 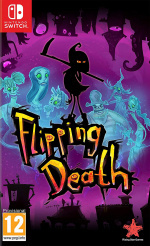 Players defeat enemies with dropping in holes with using items, to escape from the times, such as primitive times and the Edo era and contemporary. 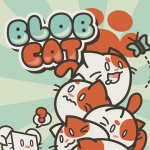 BlobCat (BySamb, €9.99 / £8.99) - In BlobCat it's your job to protect the DiceMice! Place arrows and guide the Dicemice to the Micehole! But beware, the naive BlobCats are rolling around (not quite at the speed of sound)! Shut Eye (Forever Entertainment, €3.99 / £3.59) - Play as a young child, who is away from her parents. The girl has suffered from anxiety most of her life, which lead to confusion and an exuberant imagination. Survive the night and keep your anxiety level down, as throughout the night you will experience the true meaning of what a child's imagination can be. SubaraCity (Flyhigh Works, €5.00 / £4.49) - SubaraCity on Nintendo Switch offers a new twist for puzzle game fans, combining careful planning with relaxing gameplay. You’re not just matching blocks, but you’re city building at the same time! The Amazing Shinsengumi: Heroes in Love (D3 Publisher, €11.99 / £10.79) - A romance game for women where you fall in love with members of the famed Shinsengumi. Which of the Shinsengumi members will you fall for? Featuring character designs by popular artist for women's media, Nagaoka. 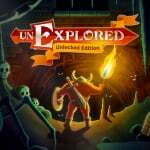 Unexplored (Digerati, €13.5 / £12.14) - Descend into the depths of the Dungeon of Doom and complete your quest: steal the Amulet of Yendor from the fearsome dragon and make it out alive. Unexplored is the roguelite that feels like a roguelike. An accessible yet challenging action RPG that has won praise for its revolutionary level generation tech. Nightmares from the Deep 2: The Siren`s Call (Artifex Mundi, €13.49 / £12.14) - When Sarah Black, curator at the Caribbean Naval Museum, receives a package from a mysterious messenger, she is unwittingly drawn into an ancient conflict. 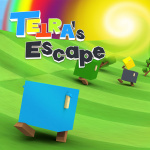 TETRA's Escape (Ratalaika Games, €3.99 / £3.99) - Blocks named Tetras and it is down to the players to all that they can, to save them and make the most out of their special ability. Via the means of shape-shifting, Tetras can turn into different Tetrominos and used to fill holes and master puzzles, in an attempt to reach the portal on the other side of the level. 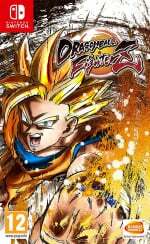 Dragon Ball FighterZ Open Beta (BANDAI NAMCO Entertainment, Free) - Join the OPEN BETA now to get a first punchy glimpse at what DRAGON BALL FIGHTERZ has to offer. Partnering with Arc System Works, DRAGON BALL FIGHTERZ maximizes high end Anime graphics and brings easy to learn but difficult to master fighting gameplay. Valkyria Chronicles 4 Demo (SEGA USA, Free) - Valkyria Chronicles 4 takes place in the same timeframe as the original Valkyria Chronicles, but focuses on Squad E of the Federation. Commander Claude Wallace and his childhood friends set out to fight for freedom in this desperate war, but bone-chilling blizzards, waves of imperial soldiers, and the godlike powers of the Valkyria stand between them and victory. Double Breakout (nuGame, €7.00 / £6.00) - Double Breakout is a breakout game which combines game mechanics from a traditional breakout game and a pong game. 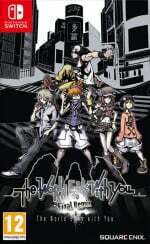 The World Ends With You -Final Remix- (Nintendo, €49.99 / £39.99, pre-order from 07/08/2018) - Pre-Order until 11/10/2018, 23:59 local time Game description: When the main character, Neku, suddenly encounters the mysterious girl Shiki, he gets caught up in a deadly game – he’ll be erased from existence if he can’t complete a series of twisted tasks. Tear into each rhythmic battle using the game’s traditional touch controls or Joy-Con controllers for a fresh style of combat! 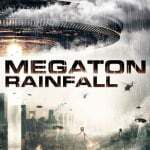 The action-RPG will also include a sizeable new scenario that gets right to the heart of the story. 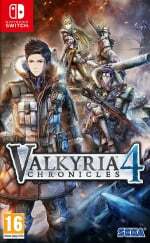 Valkyria Chronicles 4 (SEGA, €59.99 / £49.99, pre-order from 07/08/2018) - Pre-Order until 24/09/2018, 23:59 local time Game description: Valkyria Chronicles 4 takes place in the same timeframe as the original Valkyria Chronicles, but focuses on Squad E of the Federation. Commander Claude Wallace and his childhood friends set out to fight for freedom in this desperate war, but bone-chilling blizzards, waves of imperial soldiers, and the godlike powers of the Valkyria stand between them and victory. 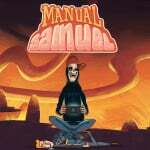 Manual Samuel (Curve Digital, €9.99 / £9.99, pre-order from 08/08/2018) - Pre-Order until 16/08/2018, 14:59 CEST Game description: An adventure game with a twist. Death’s deal means Sam must survive a day controlling his entire body manually. Breathing, blinking & driving, all these tasks fall to you. 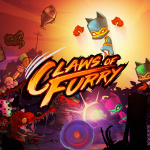 Claws of Furry (Terahard Studios, €9.99 / £8.99, pre-order from 09/08/2018) - Pre-Order until 03/09/2018, 14:59 CEST Game description: Claws of Furry creates a blend of today's fast-paced action with classic arcade Beat'em up badassery. Sky Gamblers: Storm Raiders (Atypical Games, €9.99 / £8.99, pre-order from 09/08/2018) - Pre-Order until 23/08/2018, 14:59 CEST Game description: You’ll participate in visceral dogfights, protect cities and fleets, bomb enemy structures and even fly through tunnels. Everything is set up in accurately recreated real life locations like Pearl Harbour, Coast of Dover, Midway, Germany and France. Flood of Light (indienova, €4.99 / £4.49, pre-order from 12/08/2018) - Pre-Order until 23/08/2018, 14:59 CEST Game description: You control a mysterious girl who arrives at a city that is completely flooded with water. Only she possesses the ability to control light. By using the girl's supernatural power, you can solve various puzzles to gradually make the water recede and ultimately save the city. 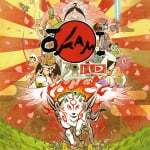 Any News on Okami HD Physical in Europe? Oh god, that sale. Even better than the last one. Smoke and Sacrifice, Floor Kids, Mulaka, Tumbleseed, Bomb Chicken, Necrodancer, Layers of Fear, SpiritSphere and so on. Drained 90 euros on the last one, this time I'm looking at close to 150. Great summer, I guess I'll get some games instead of a vacation. And I still have physical Okami and Dead Cells preordered. GG nintendo. Also, it's not in the article, but Death Road to Canada is currently on sale in Europe, till the 14th. Dead Cells and Minit are definitely on my radar. 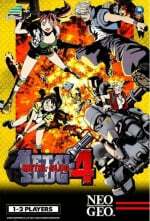 Also Metal Slug 4, nice. I have the first 3 on Steam and double dipped on 3 on Switch. There are multiple games I'd like to buy but I'm afraid to spend too much money at the moment so I just downloaded FighterZ beta and Valkyria Chronicles 4 demo. @kozaihod Damn son, do you juggle between 15 games or something? I always play 1-2 games and only when I finish one I buy the next one. Well I may have to splash more cash on the sale this week compared to last. I only picked up Cat Quest, as a game on sale that I didn't already have. Why always Breakout on Wii U? Aren't there many other games? Shantae Risky's Revenge when? okami is only £15, that seems like a bargain! 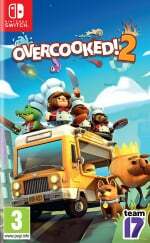 I’m not downloading anything now, but I will get Overcooked 2 and Dead Cells eventually. Okami will be a physical purchase. @Yasume hahah more like stockpiling while they're cheap. I did jumping around games some time ago, but now I try to concentrate on one at a time per system too. It's just that some of those deals are really a steal. I mean come on, 71% on TumbleSeed? Good sale. I’ll grab Darkest Dungeon and pixel junk monsters 2. I’m disappointed by the price of the world ends with you. Even with the new content £40 seems a lot for a remaster. 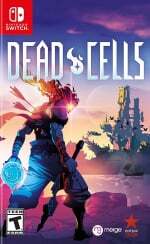 I bought Dead Cells the day it came out. Getting RSI already. @Bunkerneath is Japan only, but Japanse switch copy has english language. "Sigi - A Fart For Melusina". With the vast amount of overpriced games swamping the eshop, I noticed that it's not to long before they get discounted. I guess they get over powered by the new arrivals and it not long before they fall from grace. A discount brings them back into view for a week or two. Some should take a leaf from Hollow Knights book and launch their game at a reasonable price and grab the sales while the going is good. Even Nintendo is discounting some of its 3ds games down to £25; it must be suffering a bit as well. Bomb chicken discounted? Don't think it's been out long. This is why I wait for sales. Just the VC4 demo, staying strict on my backlog plans. Resident Evil Rev 1 & 2. Apparently there is a discount normally when you buy one when you already own the other. Does this stack with the Summer Sale price? Hopefully someone can verify. @cmk8 This does get really annoying. I rarely buy things digitally on the day it comes out. But i did with Bomb Chicken thinking it wouldn't go on sale for ages. Under a month later and 40% off. Looks like il be back to not buying on day of release. Dead Cell is the only Rogue like game worth buying. It's so addictive. Someone who has played the 3DS ones: should I get hey pikmin, kirby or ever oasis? I kinda like platformers and rpg:s equally and I haven’t played those yet. Also: is the mario and luigi worth double dipping if I own the original? 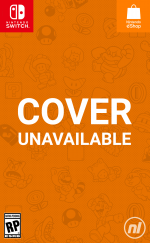 How about Yoshi & poochy if I have the wii u-version? @molliolli182 If you have the Wii U version of Yoshi's Wooly World then I wouldn't bother with the 3DS version - there might be a few extras but the graphics aren't as good. Wouldn't bother with buying Mario & Luigi again if you have the original. @wazlon thanks! Kinda like my thoughts I had already. I usually don’t double dip on games unless they have significant improvements or extra content and then I usually sell the original/previous i have. I just played trough Kirby star allies and it wasn’t my cup..just something with the setting of the game and the graphical style put me off. And it was my first Kirby game I ever played. So I might like the older kirby-games if some.